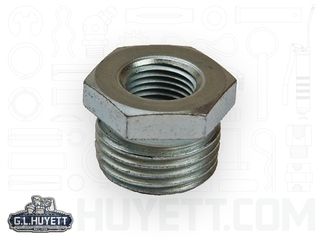 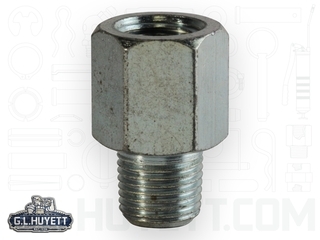 Reducer bushings are threaded adapters. 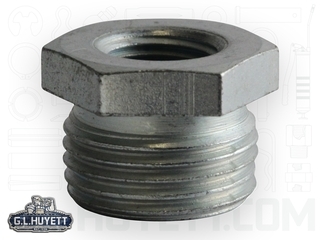 Bushings functionally decrease the size of a threaded hole. 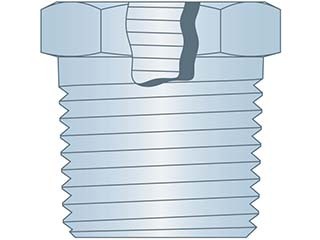 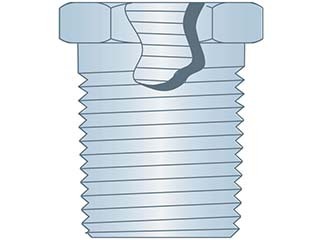 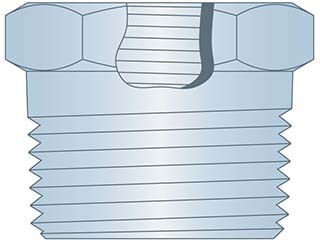 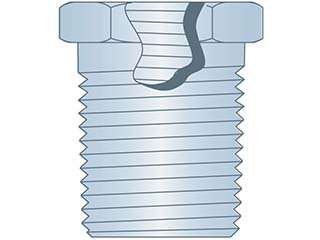 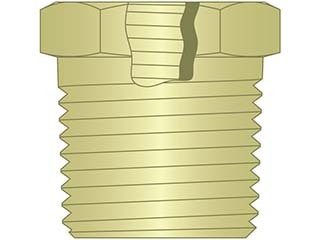 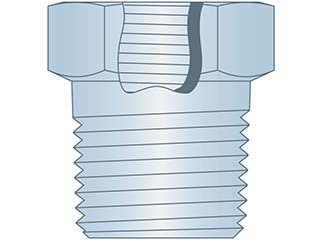 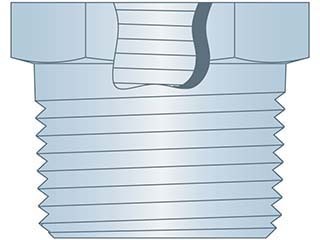 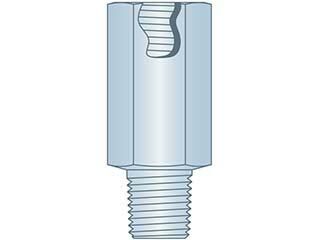 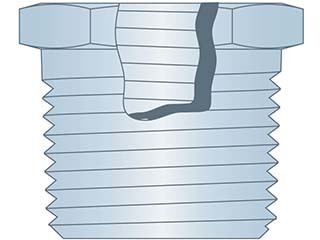 They are commonly used to replace stripped threads or for retrofitting smaller components into larger holes.